If you’re reading this blog, chances are you have some kind of interest in Korea and in Korean culture. Maybe you’ve visited the country once, or perhaps you’ve lived there for some time. Maybe you’ve made up your mind to start learning the language this year, or maybe you’ve been learning it for several years. Whatever it is that interests you about Korea—the people, the food, the history, the culture, the music, or all of the above—some people might have left a mark and influenced you in some way or another. I’ve personally been learning Korean for several years, and back when I was an undergrad at the University of British Columbia in Vancouver, BC, I had the chance to study the Korean language for about a year and a half there. The experience was made all the better given that I had the chance to study under a very enthusiastic and experienced teacher, Youngmi Cho, who has now returned back to Seoul where she teaches full-time at a university. If you’ve ever thought about becoming a teacher, maybe even a teacher of the Korean language, you might find this short interview interesting. Even if you’re not Korean, there are non-Koreans who do actually become teachers of the language (either professionally or not). Check out people such as Robert Fouser, Ross King, Michael Elliott or Billy. In the meantime, enjoy the interview with professor Cho and let me know how your Korean is going! 1. You have been teaching Korean to foreigners for many years. Can you tell us a little bit more about your work and what got you into this field of work? Cho: Back when I was an exchange student in the US, I had the opportunity to work at a Korean culture camp for Korean adoptees. At that time, I realized that there were quite many people of Korean ethnicity in the US and many of them, at least the people I met, wanted to know Korea and its language, and so I wanted to help them. 2. Overall, how was your experience living and teaching in Vancouver, BC? Did it take you some time to adapt to life in Canada? Cho: To make a long story short, it was an amazing experience for me, both working and living in Vancouver, BC. It was very ethnically diverse, so it was great to meet all sorts of different people. Students I met at UBC were the best. They were motivated to learn Korean and very sweet and nice. I loved my students there and I miss them a lot. Most of all, it was great to find out that there were more students eager to learn Korean than I thought. 3. In recent years, have you seen a rise in the demand of students wanting to study Korean? Do you think more and more people in the future will learn Korean? Why or why not? Cho: Of course. It is very interesting to see that more and more people want to know more about Korean culture and language. I bet there will be more and more people eager to learn Korean as time goes by. Korea has a dynamic and influential pop culture, such as K-pop, K-drama, and a vibrant movie industry. My current interest is teaching Korean through K-pop culture. It would be great to have the chance to teach Korean in Canada again in the future, especially to people who are very interested in Korean (pop) culture. 4. 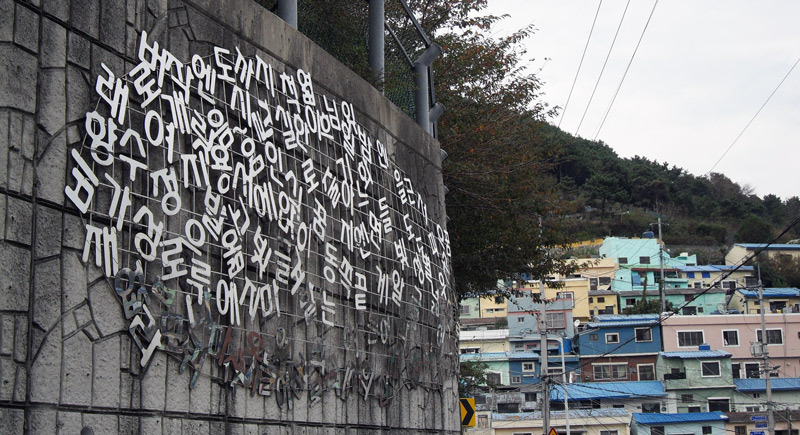 Is Korean as hard to teach as it is to learn? What is, in your opinion, the difficulty in teaching Korean to foreigners? Cho: I have never thought of teaching Korean to foreigners as hard. It is fun! I know that learning Korean can be a difficult journey, but teaching the language is not at all. Working with foreigners by teaching my own language is a very fruitful job. That’s the reason I love my job and still keep it after 17 years! 5. If you could give one or two pieces of advice to those currently learning Korean, or looking to start doing so in the near future, what would it be? Cho: It is hard to just give a couple of tips to learn Korean. It is easier, for example, if I teach Korean directly to someone who wants to try to learn. This way I can make them say something in Korean, teach them the Korean alphabet, etc. Sam Gendreau is a passionate language learner and traveler, and the founder of www.lingholic.com, a blog that helps language learners acquire foreign languages as smoothly, quickly, and effortlessly as possible. He has lived and traveled in Oceania, Southeast and East Asia, and across North America, and he has learned French, English, Korean, Spanish, Portuguese, and Mandarin Chinese to varying degrees of fluency. Yes, it’s always a big decision to move overseas and work and live in a totally new environment. She was definitely an amazing professor and she made it fun to learn Korean. I hope more and more Canadians will learn this beautiful language in the future! Hi, I have been wanting to teach Korean in Canada, but I feel like I need some proper training as a Korean teacher before I actually teach someone. Is there an institution where I can take a course, like TESOL?? (but for Korean). If you are not sure, it would be greatly appreciated if I could be connected to Ms. Youngmi Cho so I could learn more about what she went through before teaching Korean to others.